Once, a long time ago, in a much greener place called Ireland, a young servant boy named Fionn mac Cumhail was preparing a fish for his master's supper. 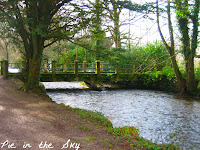 Now, his master wasn't just any master - he was Finegas, the legendarily wise Irish poet - and Finegas had spent seven years on the banks of the river Boyne, daily dropping hook, line and sinker in hope of catching the Salmon of Knowledge. This one particular afternoon, seven years since he had cast his first line into the river Boyne, Finegas had caught that coveted fish, and brought it to Fionn mac Cumhail to prepare for his supper. Wanting the knowledge for himself, Finegas warned young Fionn not to eat a single bite. Always a dutiful servant, unwitting Fionn obeyed, frying the fish just the way his master liked. But the salmon's flesh was rich and tender, and the buttery skin popped and sizzled in the pan, spattering Fionn's thumb. He gasped with pain and instinctively put his thumb in his mouth to cool the burn, tasting the savory salmon skin. And that is how Fionn mac Cumhail became the wisest of the Gaels, leading their warriors ever to victory with his fantastic powers of perception. So, maybe is isn't just those omega-3 fatty acids that make salmon the ultimate brain food! 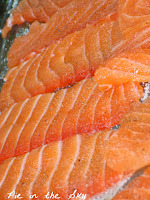 It is true, at any rate, that while farmed salmon plays host to dangerous levels of harmful chemicals like PCBs, an array of pesticides and antibiotics, dubious chemical color enhancers, and lower levels of omega-3s - not to mention hefty environmental risks - wild-caught salmon is pretty much the healthiest meat around. It's low in fat, high in protein, and full of healthful fatty acid chains that combat inflammation, heart disease, diabetes, arthritis, some types of cancer, blood clots, and even depression. So much good-for-you-ness...and it still manages to be delicious! All that said, wild-caught fish are not risk-free, especially environmentally speaking. Many fish (though, notably, salmon is the exception) have an extremely high mercury content, which can lead to nerve-poisoning and irregular development of the nervous system in babies; also, nearly all species of fish - especially the big ones like cod and salmon - have rapidly diminishing wild populations. Wild Alaskan salmon, which is certified sustainable by the Marine Stewardship Council, is your best bet, according to Seafood Watch; other Pacific salmon (Washington, Oregon, California) is a decent alternative. Farmed and Atlantic salmon should be avoided. You can download their free printable wallet-sized nation seafood guide here; they also offer regional guides. In January, Dingle Town's burgeoning tourism industry is still a faint glimmer on the horizon, and in the early hours of a brisk Irish morning, the steel-gray clouds match the pavement of the town's empty streets. Seabirds wheel over the fishing boats; a lonely vendor peddles oysters, halibut, and glistening slabs of fresh-caught Atlantic salmon out of a cart on the pier. A brilliant rainbow appears, and J and I take it as a sign of good fortune - we couldn't resist, the Seafood Guide be damned. Melt 1 tablespoon butter in medium saucepan over medium-low heat. Add shallot; sauté for 1 minute. Add minced garlic; sauté for 1 additional minute, or until garlic begins to brown. Add wine; increase heat to medium and let simmer until wine is reduced by half, about five minutes. Reduce heat to low. Whisking continuously, add cream; add egg yolk while mixture is still cool. Add remaining butter, one piece at a time, whisking continuously, adding more as the previous piece dissolves. Mixture should thicken slowly (if it thickens too quickly or begins to “scramble,” remove from heat and add lemon juice immediately). Remove from heat when all butter is melted and sauce is sufficiently thick. Stir in lemon juice, herbs, and salt and pepper to taste. Serve over poached or pan-seared salmon fillet. 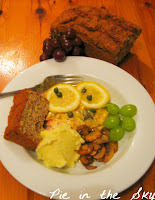 We enjoyed it with Irish mashed potatoes, stewed mushrooms and brown bread, next to the fire, while the rain fell on the roof. 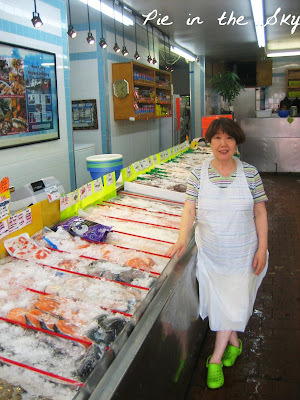 Six months later, salmon continuous to play a fortuitous role in my life; good fortune comes in the form of Annie, the proprietor of my local fish market in Brooklyn, just around the corner from my house. J and I eat Annie's fish about once a week, but I find myself visiting almost daily, just for the company - fittingly enough, my friendship with Annie began with an Irish barter: a fillet of her salmon for a loaf of my Irish Soda Bread. Annie explains her business this way: she and her husband had planned to retire, but after less than a year - and these are her exact words - they were bored, so they opened the fish market in Bed-Stuy, whose burgeoning Caribbean community demanded good fish at good prices, and a lot of it. Today, boredom isn't the problem: Annie's husband fetches fresh fish from the Bronx fish supplier every morning - at 1:00 AM! "You have to be there early to get the best fish," she explains. Thinly slice filet into about ten slices. Spread out a two-foot-long piece of plastic wrap on the counter. Mix salt, sugar and pepper in a small bowl; sprinkle half the mixture over one side of the plastic wrap. Arrange salmon on top of salt mixture so that no slices overlap; sprinkle remaining mixture evenly over the top, along with dill or other herbs, if desired. Fold plastic wrap over and wrap edges up to seal. Place package on a platter or baking sheet and refrigerate for at least two hours or up to one day. Weight package with a griddle iron, or other heavy refrigeratable items (I use pickle jars!) to expel liquid and hasten the curing process. To serve, remove plastic wrap and garnish with capers, olive oil, sliced red onion, or crème fraiche – or serve with cream cheese and a fresh bagel! 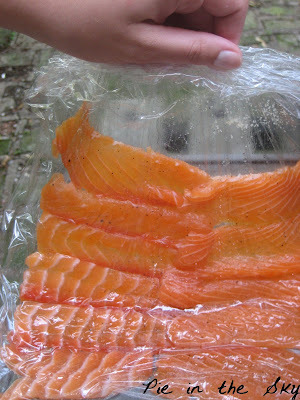 This recipe takes less time to cure than most gravlax recipes because the fish is pre-sliced, rather than cured whole. If you are concerned about the safety of eating raw or home-cured fish, read this informative guide. 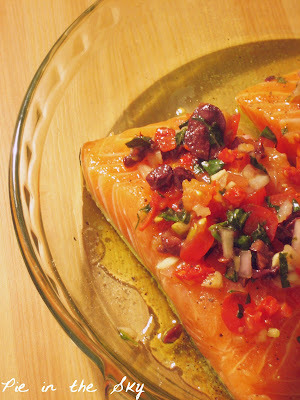 And finally, for those of you inclined to fully cook your fish before you eat it, let me refer you to this excellent recipe for Grilled Salmon with Tomato-Olive Salsa - a simple, delicious alternative to the usual butter-lemon-parsley number than gets prepared all too often in my kitchen. Eat up! I love your blog. The salmon looks good, too. It was an adventure to catch wild salmon in Alaskan waters, last summer. It didn't look as reddish-pink as your photos. But it surely tasted great. Please keep blogging. Love, Terrence. 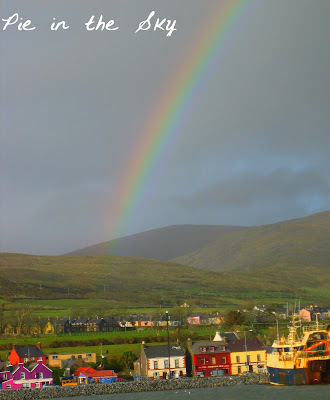 That photo of Ireland is beautiful - I love the coloured houses! It reminds me of my own trip to Ireland two summers ago. We didn't find such beautiful fish though! I think I may be trading Africa for Ireland! I want some of what Fionn mac Cumhail is having. What a fabulous read! Your entries are more and more gripping each time. I'm craving salmon now too! (Which I know Grandma Fran would be delighted to hear, since she makes salmon about twice a week.) I'm going to have to try these recipes with Nick, and try to get him to eat more fish! Can't wait to see you soon! New posts! It's been over a month! I miss Kate! 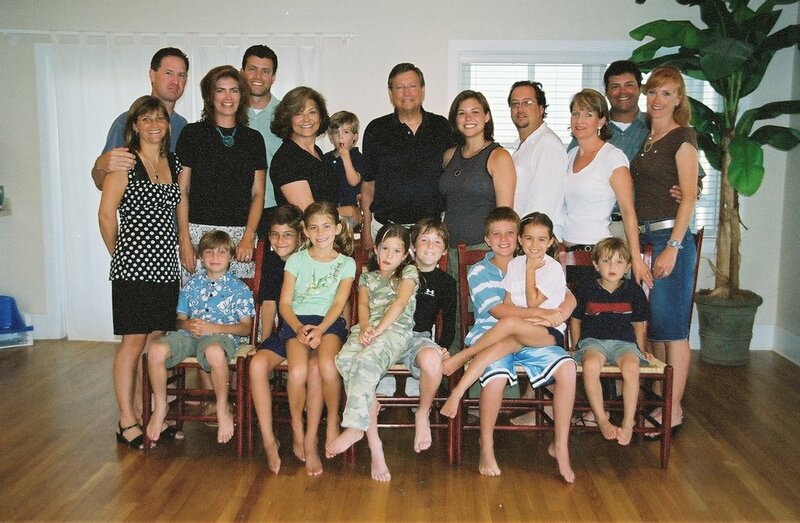 We're all here at Northcroft looking for a new post on your blog...no new post, but we love you anyway! ...Actually, Shannon is out building a dam in the creek. Kate, you are such a great writer! I don't stay current on your blog, but I do drop by every couple months...and every time I do, I'm always so impressed with it. And I'm also impressed with the life you've created for yourself; you're only 23, and it sounds like you're absolutely pursuing the things you love. Rock on, sistah!